A home brew project that started three years ago has grown into what will soon be Westfield’s first visitable craft brewery. Founded by Joe Cocchi, guitarist for the popular metalcore band Within the Ruins, along with his brother Nick, Tin Bridge Brewing will open its doors and start pouring next week. Located at 487 East Main Street, in an unassuming building next to the Big Y grocery store, the already-licensed micro brewery will feature a large taproom that looks into the brew house, and includes a long bar, plenty of communal tables, shuffleboard and a few classic video games. According to its Facebook page, Tin Bridge Brewing will open to the public on Thursday, October 5 at 4:00. 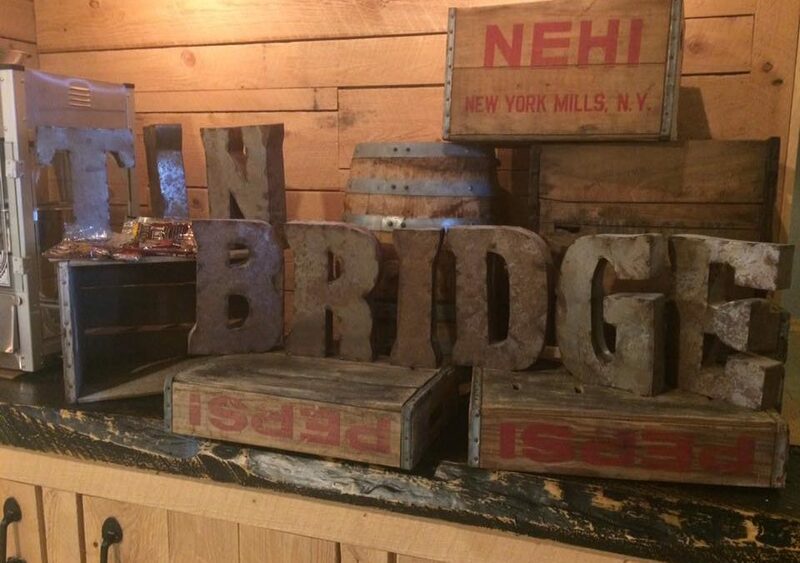 Named after a nearby railroad bridge that faded out of use and had become a local hangout spot by the time Joe and Nick came of age, Tin Bridge might just help their home town become a Western Mass. craft beer destination. Recent addition Skyline Trading Company (a bakery, home brew shop, and craft beer bar) along with well established Westfield River Brewing in next-door Southwick make for an inviting afternoon of sipping suds. We know of at least two other breweries-in-planning that are eyeing the area as well. The first seven recipes have already been brewed on their 5-barrel system and now that Joe is back from a summer tour in Europe, others will follow. 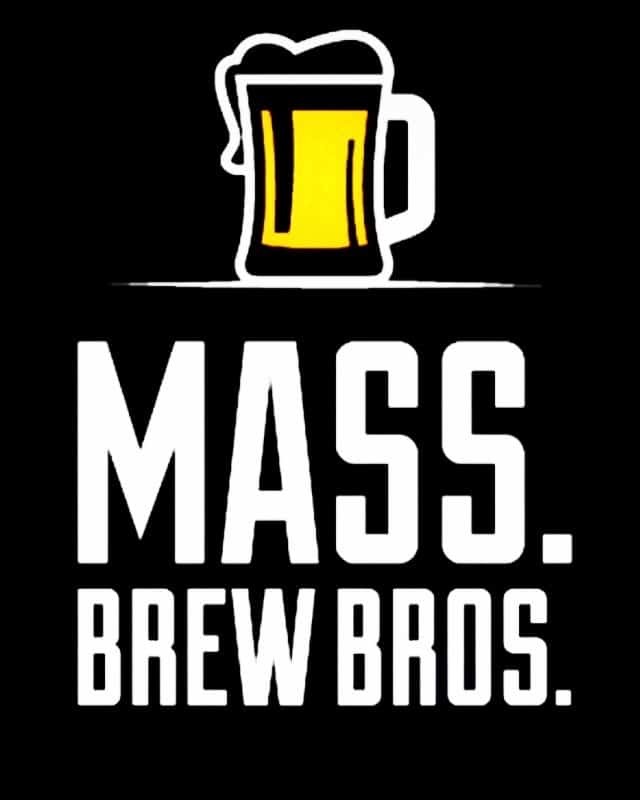 The brothers have brewed a variety of beer styles and should have no trouble supplying most of their 15 tap lines once they get up and running. Pints, flights, and growler fills will be flowing four days a week, Thursday to Sunday, with choices displayed on the digital beer menu behind the bar. First on the board, and all brewed with grains from nearby Valley Malt, are 3 IPAs (a session, a Mosiac, and a Double) a hoppy Pilsner, a Brown Ale, a Porter and an Imperial Stout. Initial plans were to distribute to a limited number of bars, restaurants, and liquor stores in the immediate area, and possibly find an online distributor to get some some of their beer out to the band’s nationwide fanatics. No word yet on whether that’s still the case, or when that will begin. Other pending Western Mass. breweries that we’ve been watching include Altruist Brewing in Sturbridge, Floodwater Brewing in Buckland, and Drunken Rabbit Brewing in South Hadley, all hoping to debut before year’s end. Altruist hopes to open the doors to its new brewery and taproom on Main Street in late October. Once they do, they plan to start with at least four offerings, including their popular IPA, Shiny Hoppy People. Veteran home brewer Bob Bixby and his wife Nancy plan to keep their 5-barrel system busy with a variety of new and unique brews. Like many breweries trying to open this year, they were delayed more than once, but are now entering the home stretch. Located in an old mill building with brick walls and old beams, it features a 1,500 square foot taproom and a sweet outdoor beer garden. 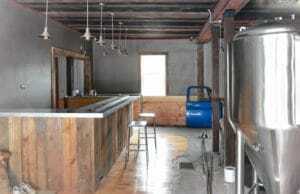 Floodwater Brewing, in the Shelburne Falls village of Buckland, plans to open its brewery and taproom this fall. Floodwater Brewing is also getting closer to opening, having obtained both its farmer brewers license and its pouring permit. Located at 40 State Street in the shared village of Shelburne Falls, they’ll join the flourishing but crowded Franklin County beer scene when they open later this fall. In addition to the first floor taproom that will overlook the brewery, they plan to have a porch in the back with views of the Deerfield River. The owner, Zachary Livingston, has yet to establish a website or social media, but our moles tell us they’ve seen significant progress over the last month or two. After fairing well at a number of home brew competitions over the last year, Drunken Rabbit has quickly transitioned into a pending commercial brewery. If all goes according to plan, they hope to debut their 5,000 square foot space, more than half of which will be dedicated to the taproom, in time for Thanksgiving. While they ready the brewery, several home brew batches have been making their way to the lips of eager supporters, among them their popular Hop Hop IPA and a funky concoction called Blueberry Sour Cream Pie. No definitive word yet, but we’re also keeping tabs on contract brewer White Lion, who hopes to open a pilot brewery and taproom in downtown Springfield in the not too distant future. One of their recent Facebook posts says they plan to work with architecture firm Austin Design, who’ve previously worked on projects with Northampton Brewery, Tree House, and the aforementioned Floodwater. Last but not least, home brew outfit Great Awakenings Brewing, who recently shared some of their tasty brews with us, has begun moving forward with plans for a commercial brewery of their own in Westfield in 2018.